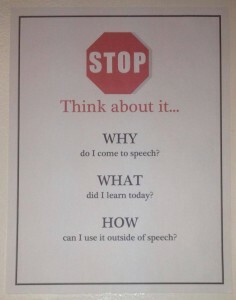 Welcome to the first post in a series about ideas for fun summer activities and how to tie in speech/language skills to your summer fun! 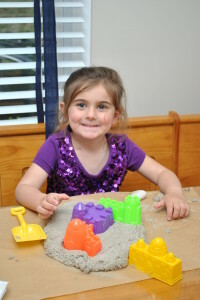 Hopefully this summer will be full of sunny beach days! 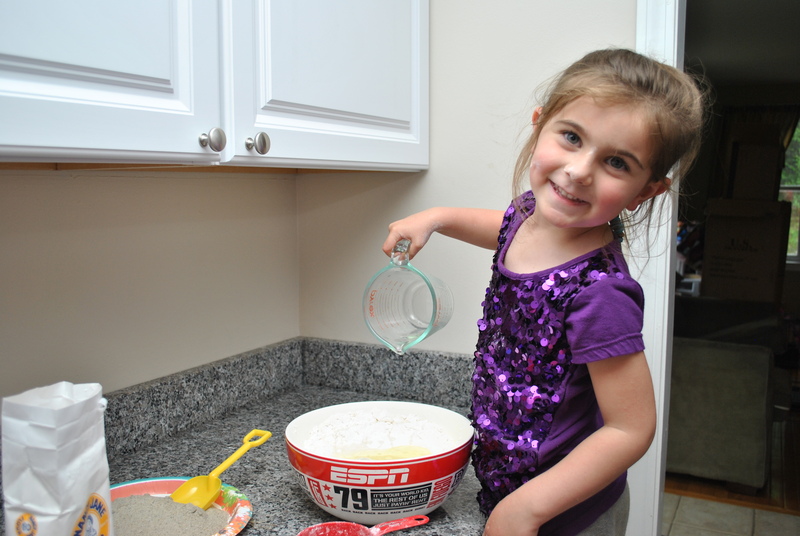 But, for those times that Mother Nature doesn’t cooperate, it is a good idea to have some ideas for some indoor fun up your sleeve. 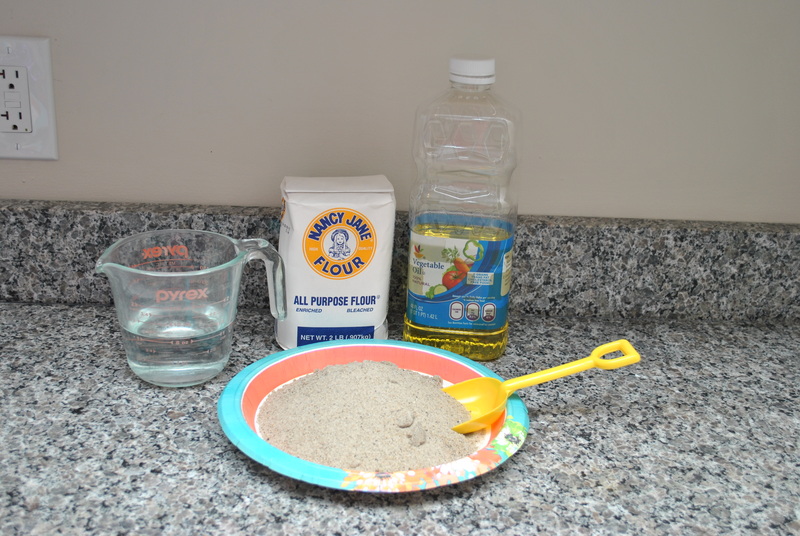 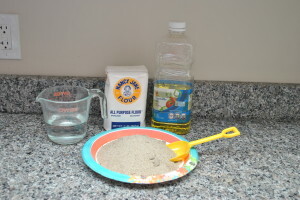 In my house, a go-to inside summer fun activity is Sand Dough. 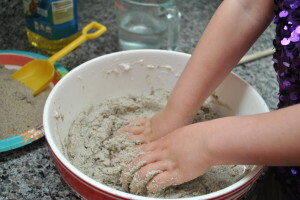 Mix all of the ingredients together and knead until dough forms. *After we mixed the initial recipe together we added a little more sand/flour to make the consistency a little bit less sticky. Once the dough is formed it’s time to play! 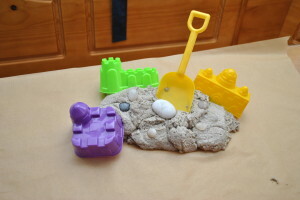 We found some beach rocks and small beach toys to use with the dough. 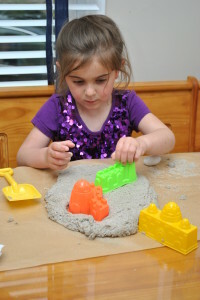 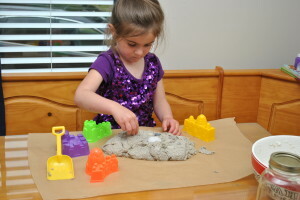 My daughter enjoyed playing with her sand dough all week! 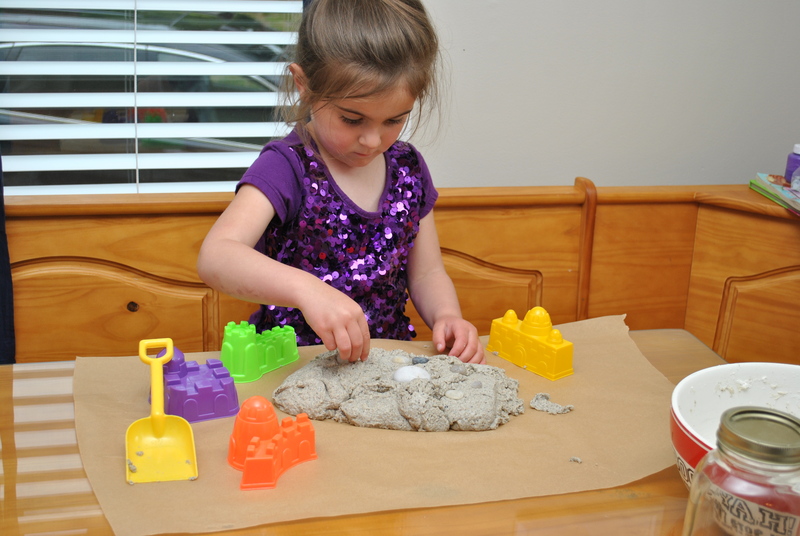 Use describing words to talk about how the ingredients feel and how the sand dough feels (sticky, wet, dry, etc…). 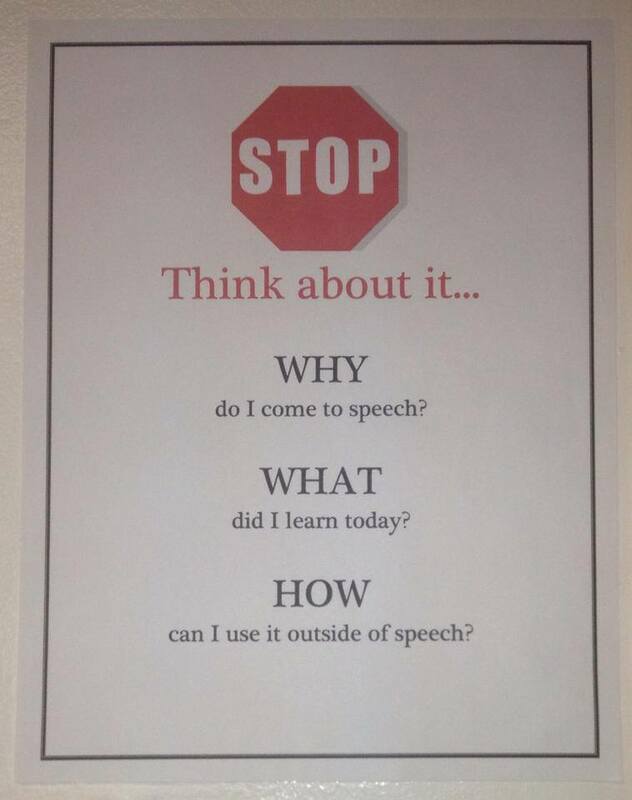 I hope you enjoy this fun summer activity and can to tie in speech/language skills to your summer adventures!